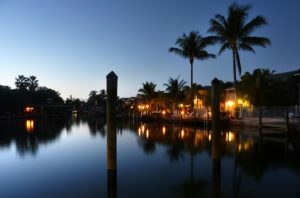 Gulf Breeze home prices are not only among the most expensive in Florida, but Gulf Breeze real estate also consistently ranks among the most expensive in America. A relatively large number of people in Gulf Breeze telecommute to their jobs. Overall, about 8.23% of the workforce works from home. While this may seem like a small number, as a fraction of the total workforce it ranks among the highest in the country. These workers are often telecommuters who work in knowledge-based, white-collar professions. For example, Silicon Valley has large numbers of people who telecommute. Other at-home workers may be self-employed people who operate small businesses out of their homes. Because of many things, Gulf Breeze is a great place for families with children to consider. First of all, many other families with children live here, making Gulf Breeze a place where both parents and children are more likely to develop social ties with other families, as well as find family-oriented services and community. The city’s good public school district and large population of college-educated adults provide an environment conducive to academic values. With regard to real estate, Gulf Breeze has a high rate of owner-occupied single family homes, which tends to reflect stability in the local community. Finally, Gulf Breeze’s overall crime rate is lower than average for the country. Gulf Breeze is also nautical, which means that parts of it are somewhat historic and touch the ocean or tidal bodies of water, such as inlets and bays. Quite often, nautical areas such as these attract visitors and locals who come to enjoy the scenery and various waterfront activities. Gulf Breeze is very much a car-oriented city. This is because the population of Gulf Breeze isn’t large enough or dense enough to support an extensive public transit system. It has a lot of rural roads, and the distance between houses can be quite large, which together tends to discourage walking and bicycling to work. 91.38% of residents commute to work in their own car (and the drive is typically to a job out of town). People also tend to drive out of town for other services as well, such as shopping, doctors appointments, and more. The per capita income in Gulf Breeze in 2010 was $55,603, which is wealthy relative to Florida and the nation. This equates to an annual income of $222,412 for a family of four.